Assessing the Economic Aftershocks of the March 11 earthquake, Stephen S. Roach warns us not to be complacent about the effects on the global economy. Roach points out that this ‘narrow view misses the most critical consideration’—that this latest shock comes at a time of global economic fragility. In particular, with interest rates worldwide at historic lows, the usual levers of monetary policy—interest rate cuts—are no longer available to central bankers to pump up growth. And ‘outsize fiscal deficits’ suggest that fiscal stimulus may also be exhausted. 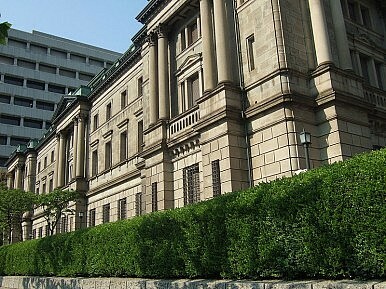 That leaves policymakers with nothing but ‘untested’ and ‘unconventional’ measures such as the quantitative easing being implemented by the Federal Reserve—and, in the immediate wake of the earthquake, by the Bank of Japan. Roach's fear (and he’s hardly alone in this) is that the cumulative effect of these ‘unconventional’ measures will be a collapse of confidence in fiat money of all types: dollars, yen, euros. As he writes, ‘the dreaded inflationary endgame suddenly looms as a real possibility’ as households and businesses worldwide dump all monetary holdings in favour of anything solid: land, commodities, gold. So far, there has been no sign of this in the markets—certainly with respect to Japan or the yen. Indeed, monetary authorities in Tokyo and abroad seem most concerned not over any flight from the yen, but about the surge in the yen's value in dollar terms to postwar highs following the earthquake. Coordinated action by the world's major central banks on March 18—the first such actions since 2000—drove the yen back down to its pre-quake levels, but it's been climbing again this week. Given that Japan is going to need to buy hundreds of billions of dollars worth of commodities and manufactures from the rest of the world to rebuild its shattered northeast, it’s not clear how cheapening the currency benefits the country. But the surge clearly rattled policymakers, underscoring the fragility Roach discusses. Roach has an impressive track record of getting things right, so when he writes that the Japanese economy has ‘been on the leading edge of many of the more serious problems that have afflicted the global economy in recent years’ and calls the country the ‘laboratory of our future’ it’s hard to disagree (indeed I concluded the same here). And when he ends his piece by noting that the more meaningful message for the global economy of the catastrophe Japan has endured is ‘how these shocks box the rest of us into an even tighter corner’ it’s worth pondering the implications of all this very closely. R. Taggart Murphy is Professor in the MBA Programme at the Tokyo campus of Tsukuba University and a Coordinator of Japan Focus.